Disclosure: I was a media guest and all opinions are my own. What a weekend! 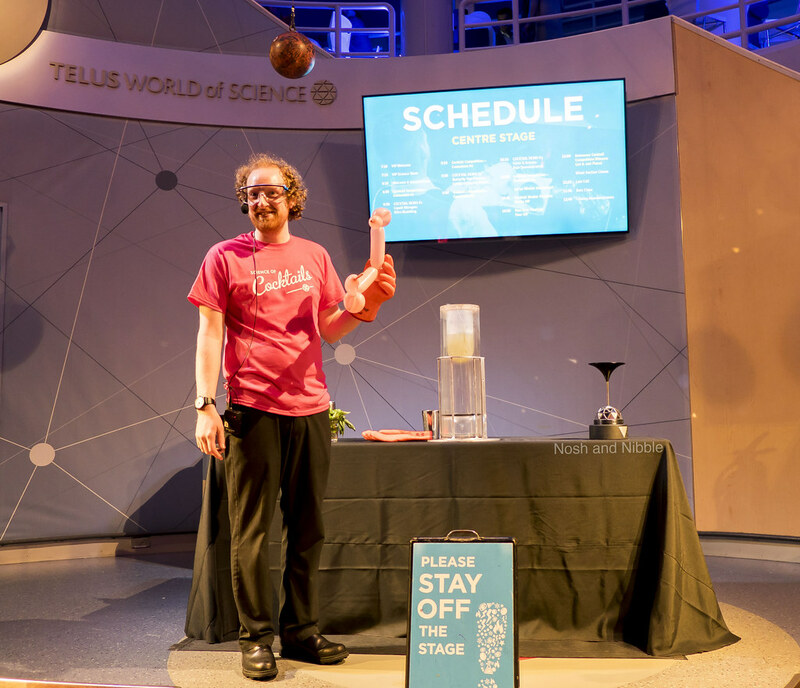 Thursday February 9 was the second Science of Cocktails held at Science World in Vancouver. 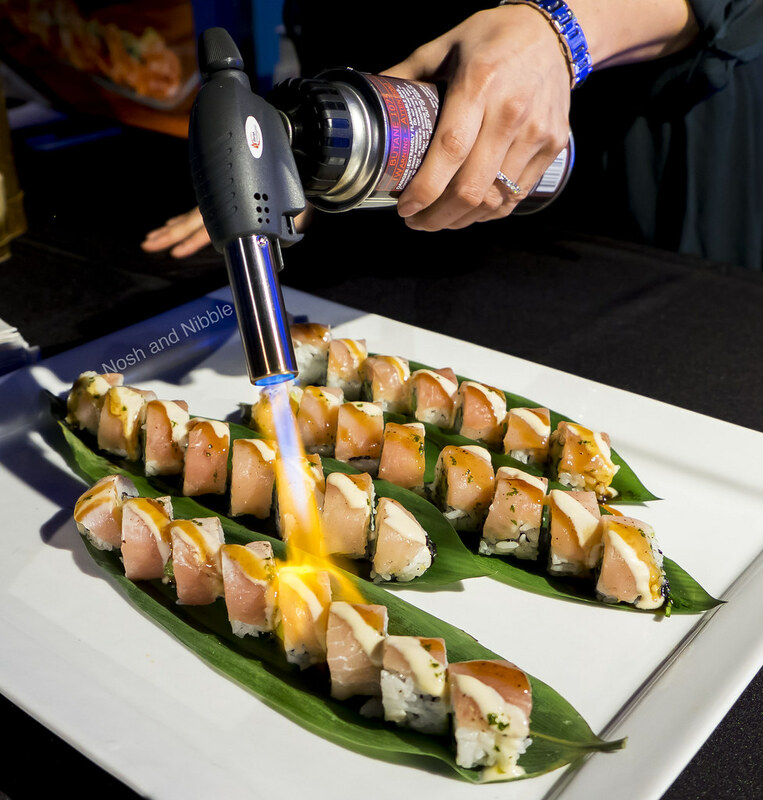 With over 1500 tickets sold, the 25+ bar stations and 12 food stations had their hands full. Here are my 5 Best Things from this scientific event. 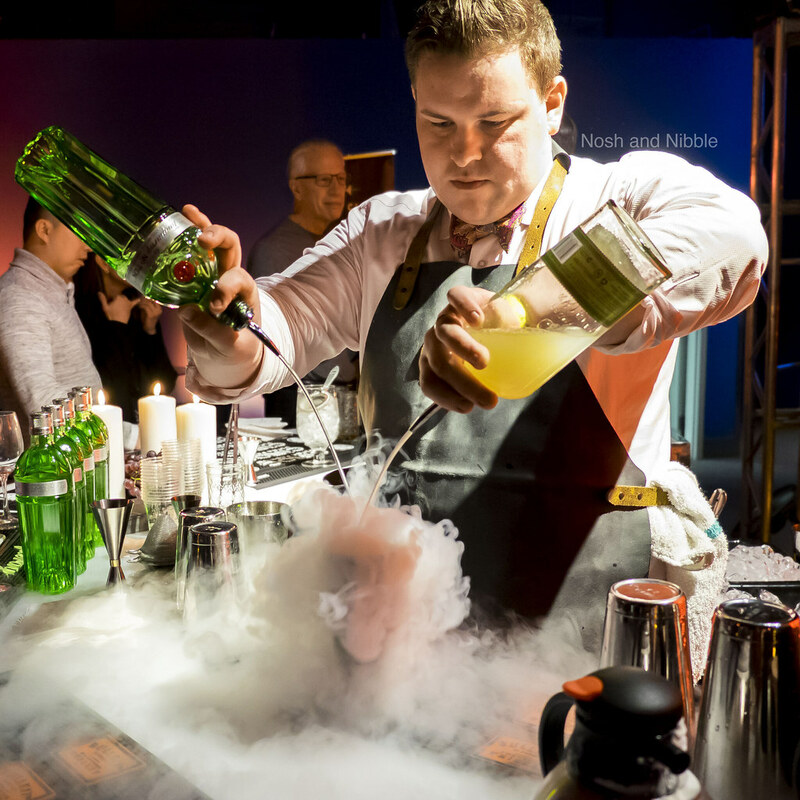 The main attraction may have been the plethora of cocktail stations, but in addition to the cocktails, Science World gave those who were curious a way to experience something different. The second floor had a feature quantum technology exhibit (though no drinking, obviously) and I enjoyed getting away from the craziness of drinking for a quick stroll to learn about logic gates. 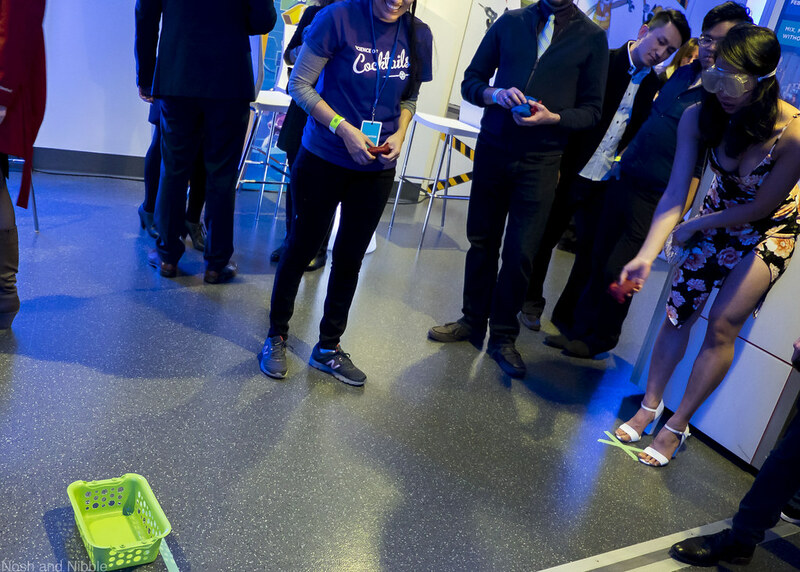 There were also science-related activities such as the beer goggle simulator that had guests experience inebriation while tossing bean bags into a bin. 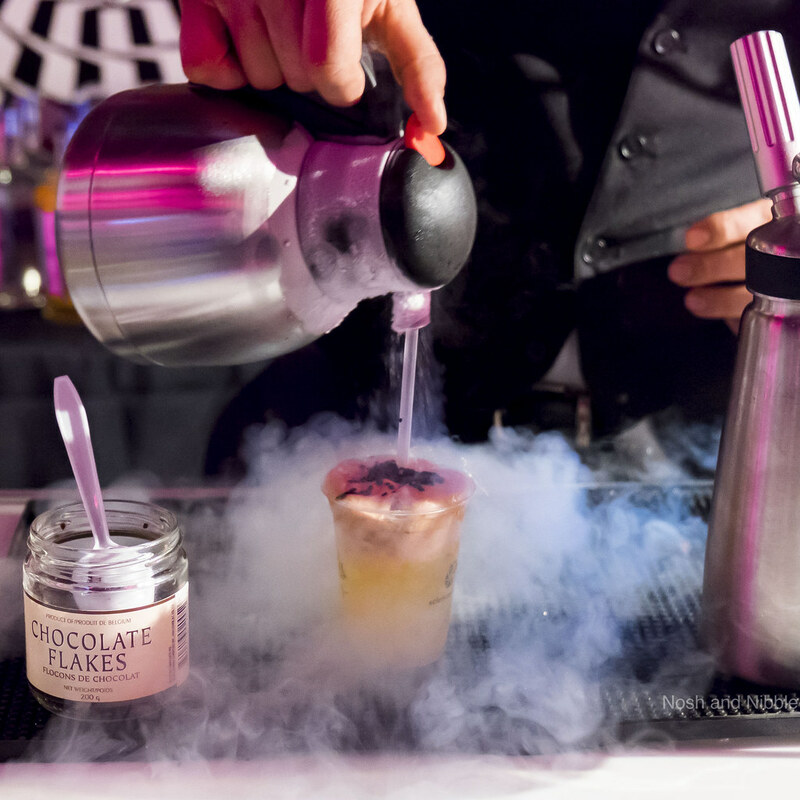 On the center stage were cocktail competitions and demos. Taking me back to some of my childhood, watching this rubber “giraffe” balloon get compressed in a tub of liquid nitrogen was a great nostalgic highlight. 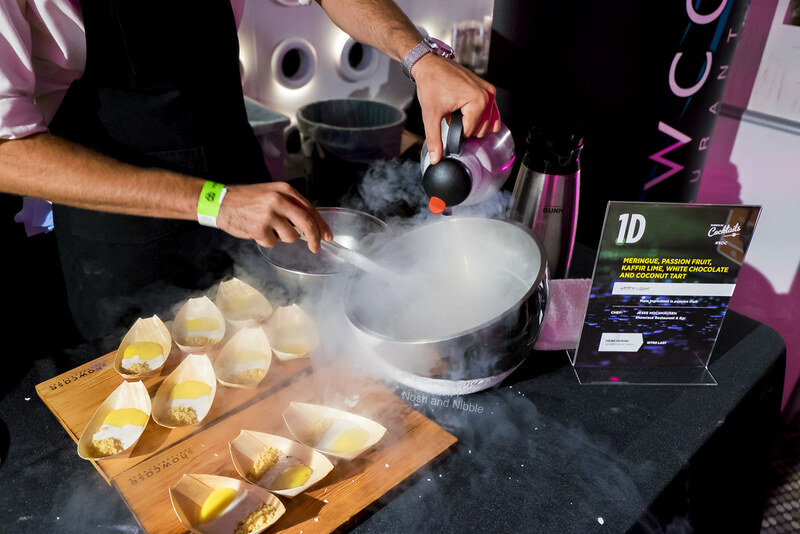 Nitrogen was a popular ingredient of the evening with a few food and drink stations stocking this -195℃ coolant. Watching the nitrogen fog up the bar counter was a treat, and a visual reminder of why it’s cool to sit at a bar counter. 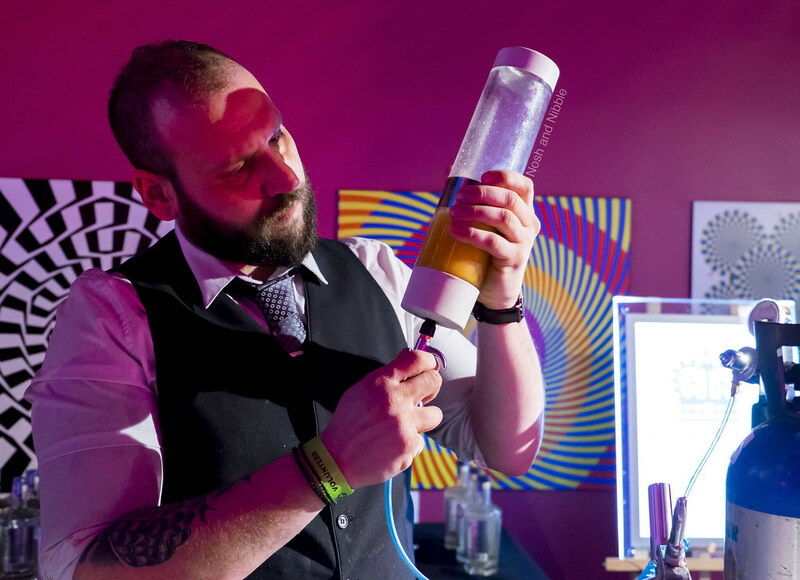 This nifty gizmo, at the push of a green button, produced negroni cocktails. 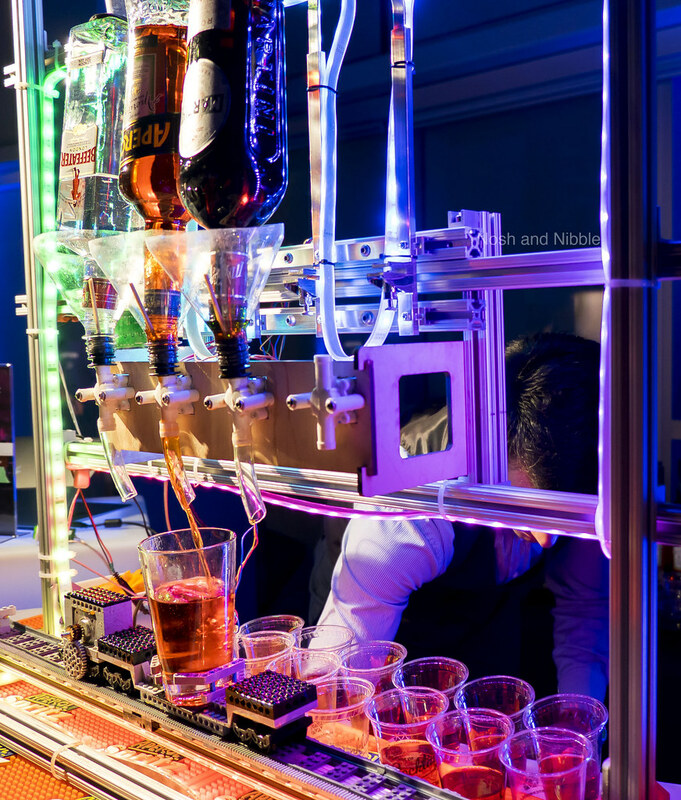 I’m not sure how well this Barbot would do in the social game of bartending, but for a no-nonsense drinking activity, I can see this type of service being introduced in future concept restaurants. Nobody likes to sit at a bar with a bartender chilling on their phone. 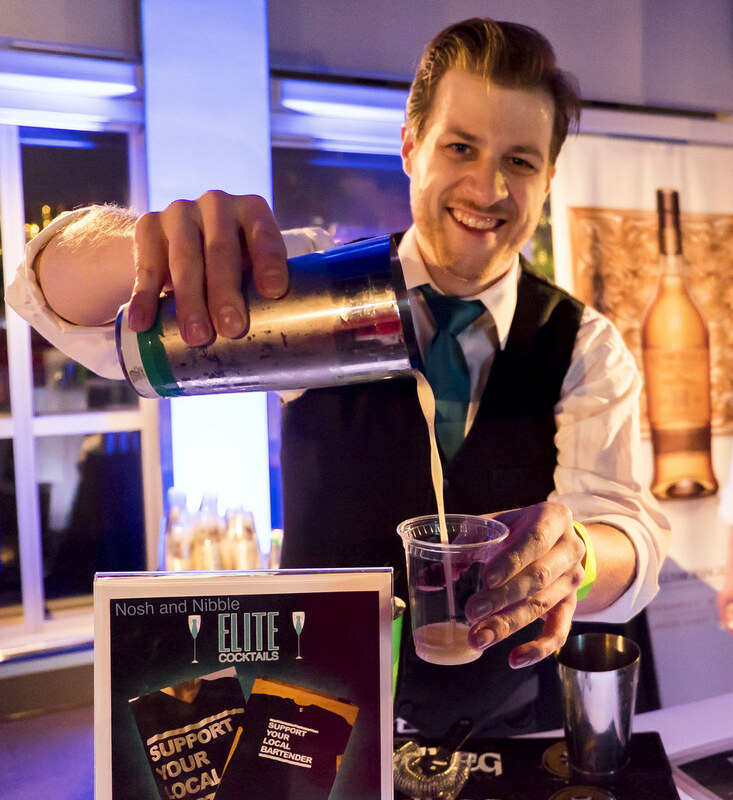 It was all hustle and bustle at Science of Cocktails as the evening went on and the bartenders and chefs worked non-stop. 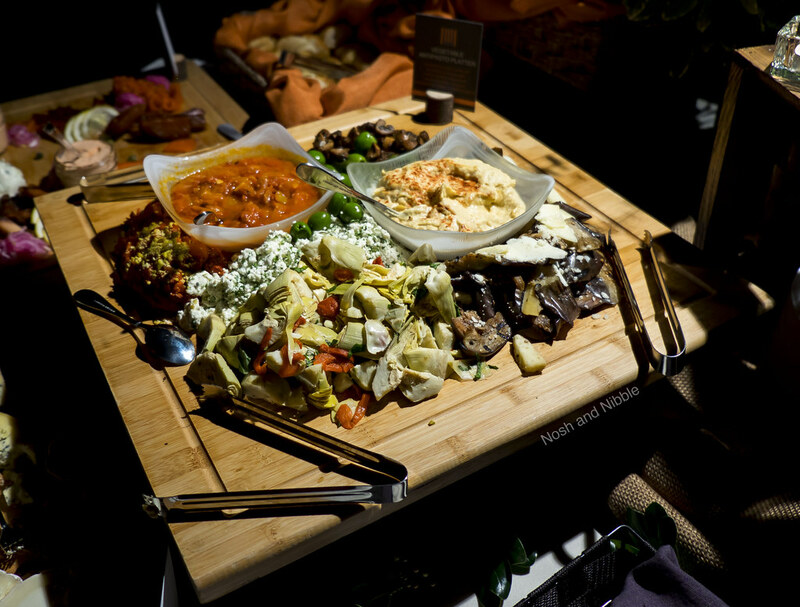 Kudos to the amount of shaking and ingredient preparation that must have went on for this night. Every server was happy to make small talk even if the place was packed with lines and that’s something I appreciate at a public roaming event. I’m terrible at drinking on an empty stomach, so I was happy to see a number of food options. 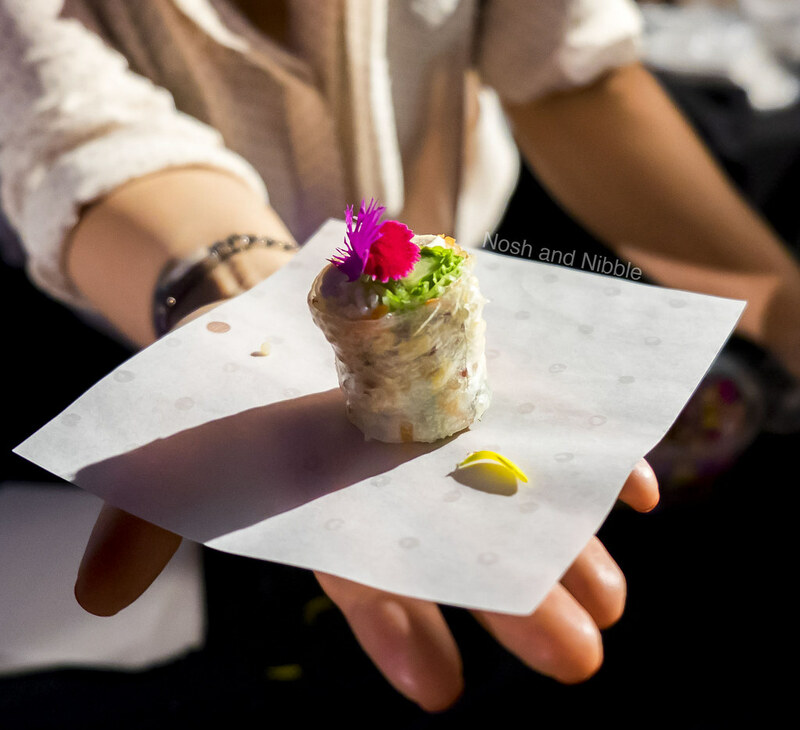 I’d still recommend eating something before you go to Science of Cocktails as you’ll probably get stuck waiting in a food line. 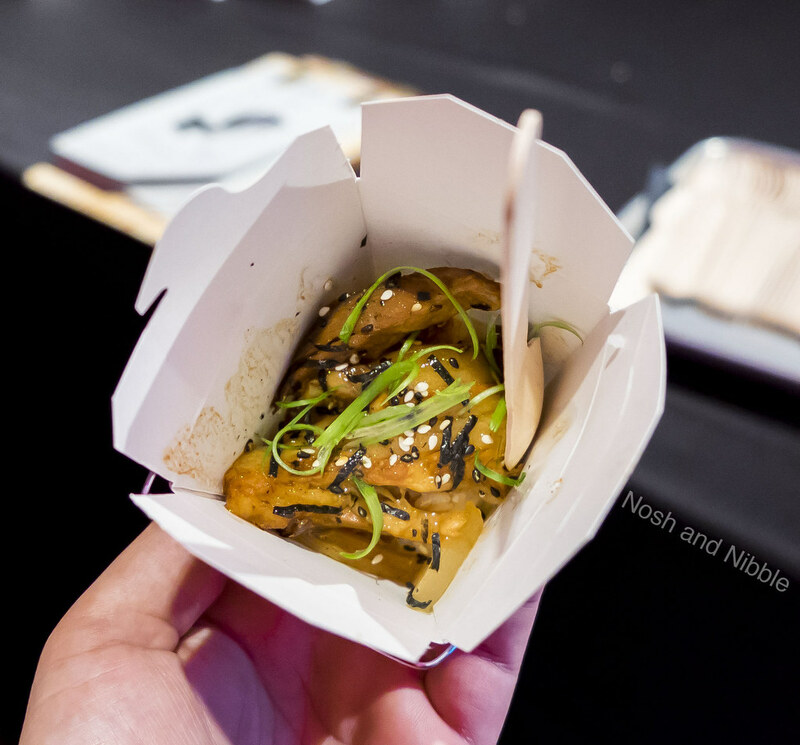 Of particular highlight for me were the Butternut Squash Gnocchi from The Dirty Apron and the Pork Belly Rice Bowl sampler from PiDGiN (fun fact: this pork belly was so good, I had to visit PiDGiN again the next day just to get the full experience). 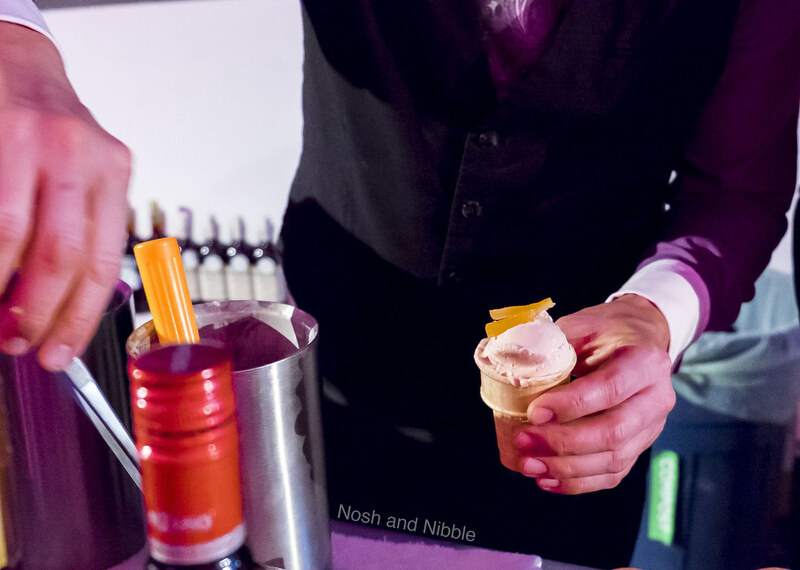 An honourable mention, PiDGiN also had a station which they funnelled through their excess pork fat to make a JP Wiser's Smoked Pork Fat Wash Boulevardier Ice Cream. 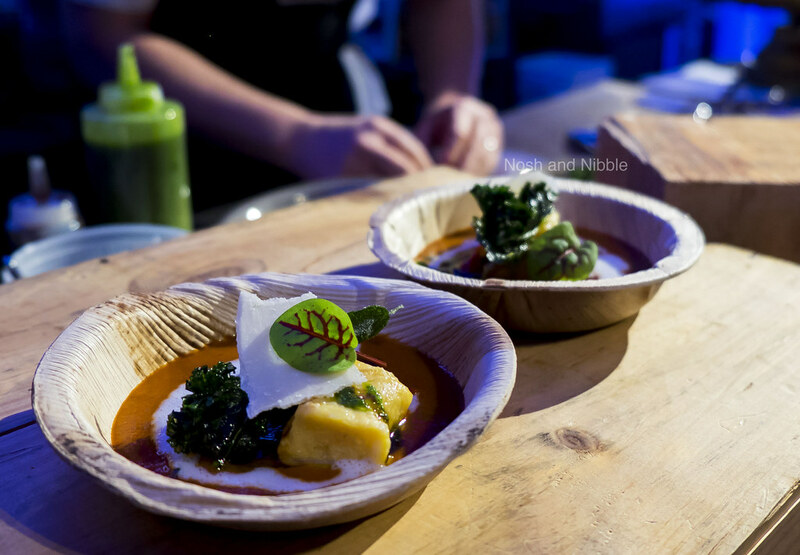 This was super cool and a great way to reduce waste! 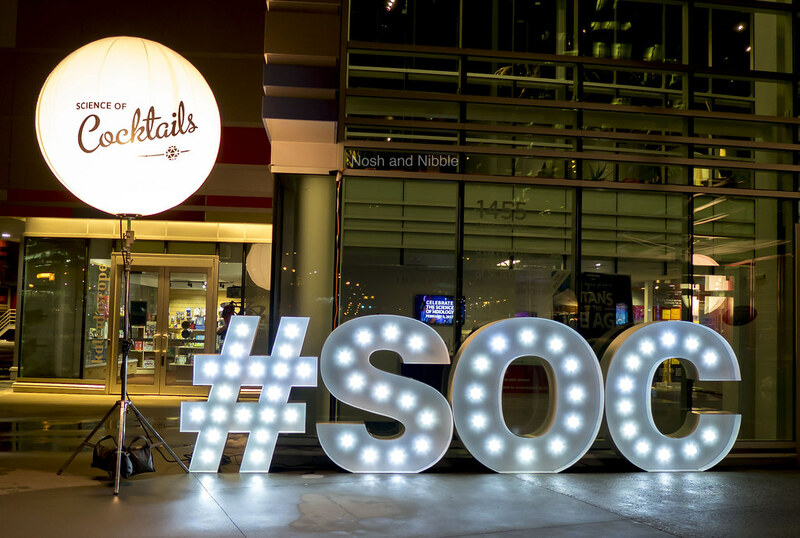 Overall, I thought for a presale $125 ticket, one could easily get their money’s worth visiting the different cocktail stations. Tickets also go towards the Science World Class Field Trip Bursary to help fund more field trips to Science World. The VIP experience costs a lot more than a regular ticket, but if you hate crowds, I’d definitely look into the VIP experience which gets you into the venue earlier with substantially smaller crowds. Presale tickets for next year’s event are now available, starting at the same $125 for a single ticket.